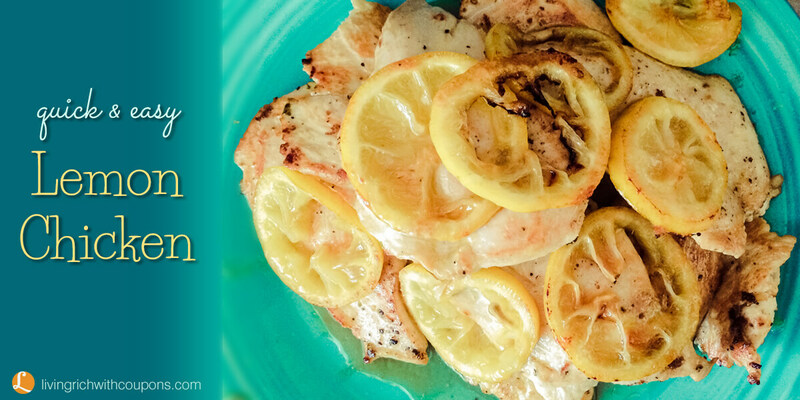 This is one of my go-to recipes if I want to impress. Everyone has always loved this dish. This WAS a recipe that I would make for company. But since I’ve given out the recipe to all my family and friends and they make the recipe for themselves, I really can’t serve it to company anymore! Its easy to prepare, which is another plus. 1. With meat mallet pound chicken breast to 1/4– 1/2 inch thickness. Cut into serving-size pieces if they are too big. 2. Mix flour, salt and pepper in a large baggy or on wax paper and coat chicken. Reserve remaining flour mixture. 3. In 12-inch skillet heat 3 tablespoons of butter, margarine or oil (I always have used butter). Cook 3 pieces of chicken at a time until lightly browned on both sides, adding more butter if necessary. Remove chicken pieces to a plate. 4. Reduce heat to low. Into drippings in skillet, stir reserved flour mixture, add broth and juice of 1/2 of lemon, stirring to loosen brown bits. Return chicken to skillet. Thinly slice remaining lemons. 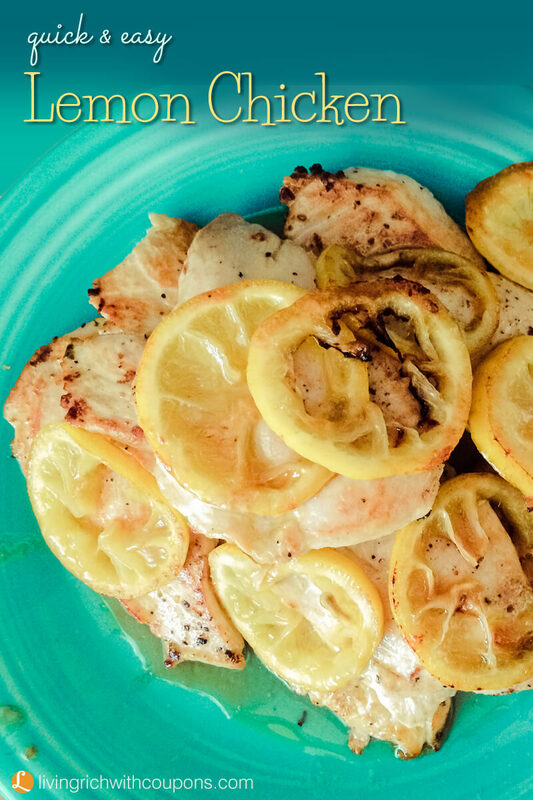 Top chicken with lemon slices. Cover; simmer 5 minutes or until chicken is fork-tender. Colgate Toothpaste Only $0.50 at Kroger!